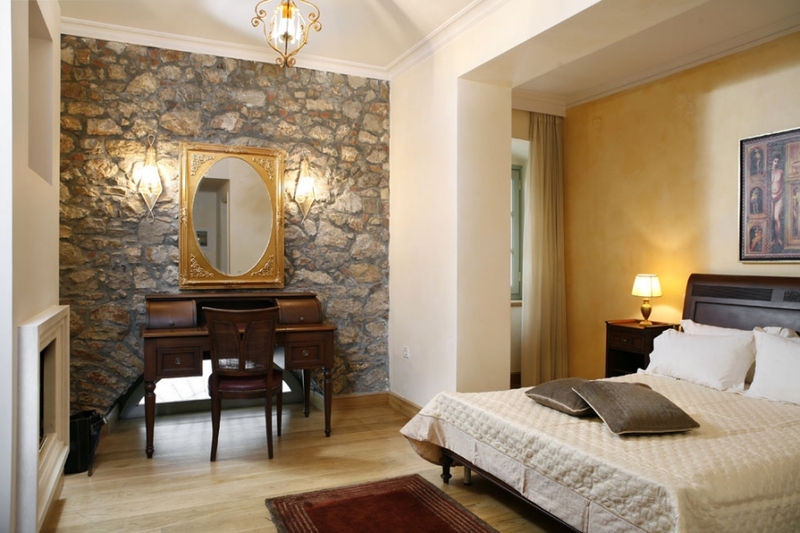 Spacious luxurious rooms and suites. 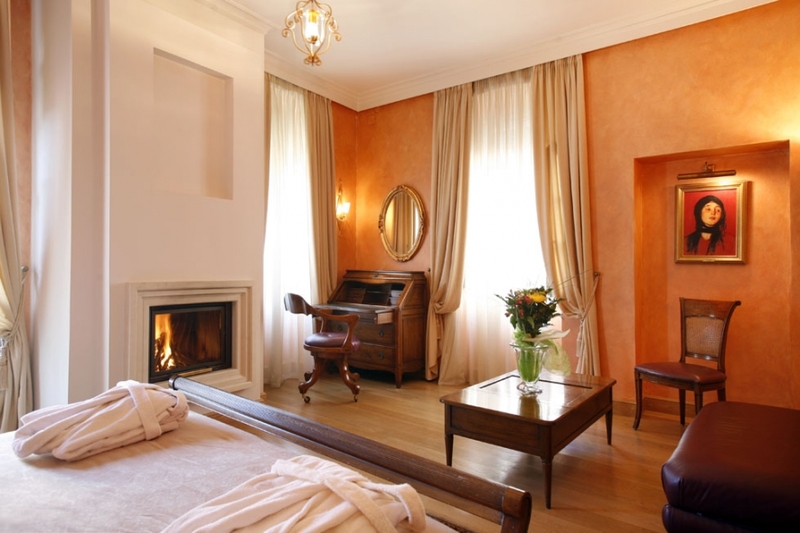 All rooms are decorated in a light neoclassical style, with authentic Tuscan furniture, providing all the comforts and small luxuries you want to offer yourself. (The leather) blended with the wood and earthy colors gives a sense of warmth and cosiness to the place and impresses even the most demanding ones. Our trained staff will make you feel at home with a welcoming smile. Start your day with a delicious breakfast from our buffet which includes traditional, homemade dishes such as omelet, sausage, bacon, homemade jam,( preserves), bread, local cheese, and hot homemade pies. 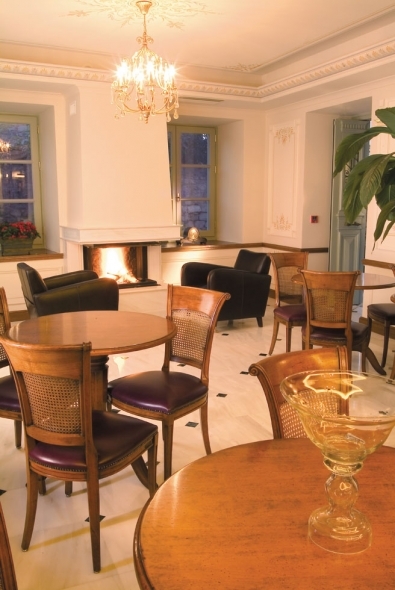 Apart from room service, breakfast can be served in the hall while enjoying the warmth of the fireplace. In summer, the garden or the pool is the perfect place.